Here is my latest bike. 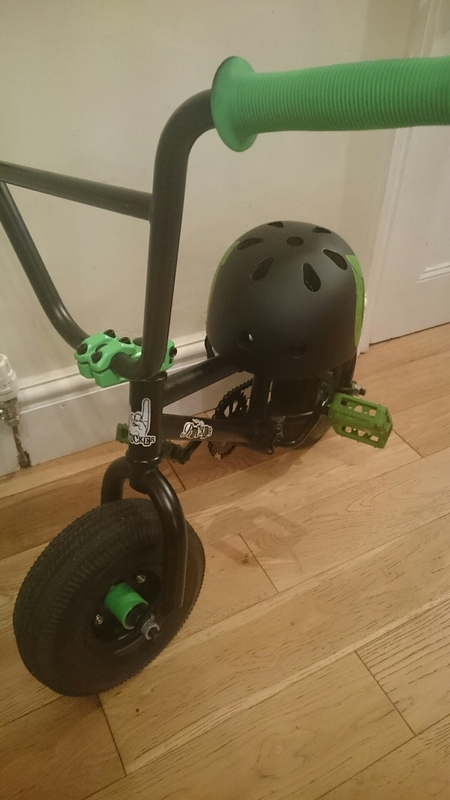 No, not a time trial bike or updated road bike, not even a mountain bike, but something perfect for a bit of fun… A mini BMX! I’ll be honest, I have not ridden far on it but when I do I’m 100% focused on staying upright, especially whilst trying to master tricks. Is this related to any specific training? Not at all. Is it a whole load of fun? It sure is!